Springfield Armory wants you to know that anyone can use an AR-15. They set out to prove it by sticking a group of six ladies in the middle of nowhere with a trainer who is a decorated combat vet. Oh, I almost forgot, the combat veteran is also a Navy Seal named Eric Frohardt. Even though it’s hard to get a solid understanding about all the training these women received with all episodes being condensed down to about an hour, with one of America's finest warriors instructing them, I rest assured that these ladies were trained well, hard, and in rain or shine. That’s exactly how it should be, though, and I’m thrilled that they spoke of training in bad weather. Why? Training with your weapon year round, and in many different scenarios is one of the most important things you can do for your concealed carry lifestyle. After all, if you don’t shoot your gun during winter months because it’s “just too cold out,” but are ambushed by a crackhead one brisk, February evening as you walk your teacup poodle through Columbus, Ohio–you won’t know how your gun feels with cold hands because you’ve never done it before. The same goes for shooting in the rain. Or, in the snow. Or, as you practice with an unloaded weapon in your house. Do you wear gloves in the winter? If so, can you shoot with them on? I think you get my point. Another way of looking at it, though, is that you’re not going to be attacked when you’re expecting to be. Instead, you’ll need to use your firearm in self-defense when you’re least expecting it, which is why I live by the motto: Always Be Carrying. After watching each one of the women from the Night Of The Saint video series give us their backstory, I can say that one of them knows exactly what I’m talking about because she actually used her firearm in self-defense against her ex. 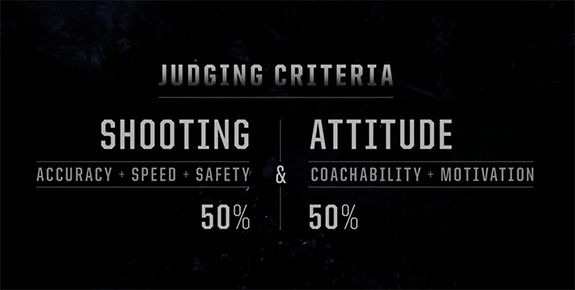 While they all had varying amounts of experience shooting guns ranging from not having a lot of trigger time, to having spent time in a competitive shooter setting, that story stands out to me for a few reasons. The main one being, that she knows firsthand how important gun ownership is. She recognized that her life was in danger and that the best (and likely only) way of making sure she didn’t get hurt any further, was to pull her gun out giving her the defensive edge against her attacker. The thing is, and this is something many who call themselves “anti-gun” don’t understand, is that the AR-15 is a better defensive weapon than a handgun is. In fact, in most scenarios where a gun is needed for self-defense, an AR-15 outperforms any handgun, which is why so many households are adopting the AR-15 for home-defense. As Navy Seal Eric pointed out, and I’m paraphrasing here, you don’t bring a knife to a gunfight and you don’t bring a handgun to a rifle fight. Truth is, any fight is more easily won with a rifle than a handgun, which is another reason why I appreciate what Springfield did with this competition by choosing six women from different backgrounds. 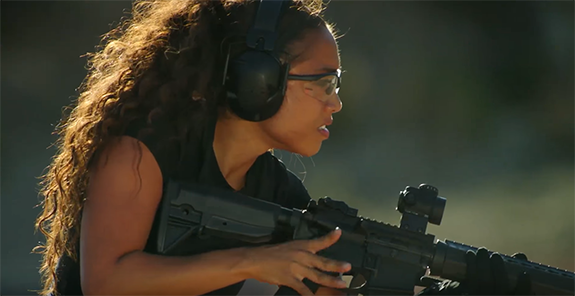 There are more women shooters now than there has ever been before, and they have a right to defend themselves just like every other American in the country. 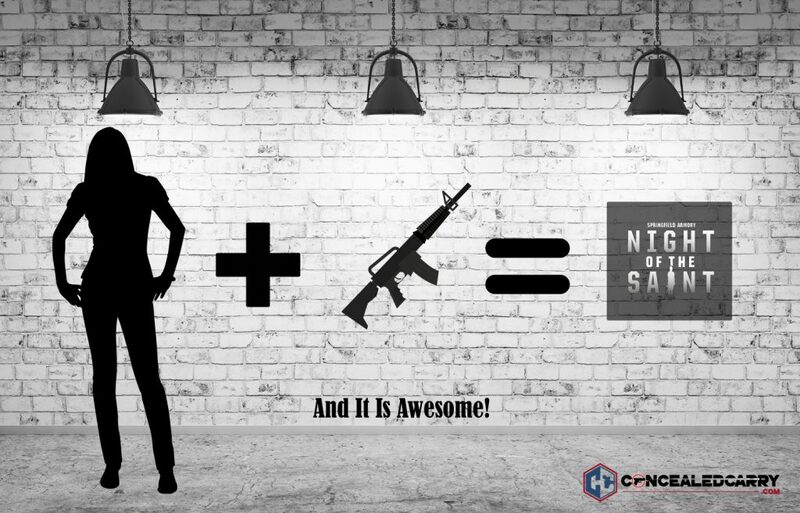 And, if you weren't aware, the NSSF has shown that the female shooting segment is the fastest growing segment in the firearms industry. Turns out, guns aren't so scary, after all. Have you had a chance to watch Night of the SAINT yet? If so, let us know what you thought about it in the comments below. If not you can watch it here. 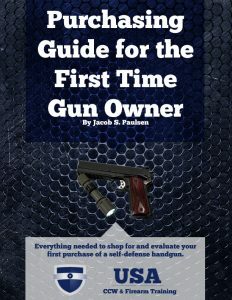 Also, if you're reading this and have never purchased a gun before and have no clue where to start, we have a great resource walking you through how to purchase your first gun. And, best of all, it's absolutely FREE! Can't beat that. I truly enjoy seeing women getting involved in, and participating in armed self defense. Shooting firearms is a great family activity. I thought this was awesome and I would love to see a show made out of this. This should be an ongoing program for women . I think it was Amazing and should be continuing .